Trump Suit Bridge Accessories supply Duplicate Boards(Bridge Boards,Duplimate Boards) sets 1-36 made of high quality ABS,durable.This board type is suitable for duplicate machine(computer dealing machine).It matches all the existing duplicate machine models,such as I DEALER 5000,IDEALER 3000,Mark II-III,Mark IV, Mark 4.4,Playbridgedealer4,Dealer 4.It can be used on all of the machines. Each Bridge Board has two “windows”,one is for placing the board number sticker,another is for placing Bridge Club Logo sticker or Printing Bridge Club logo/name. Duplicate boards set(1-36) include 36pcs of bridge boards and N/S/E/W/Dealer Stickers on each board.Each board has two small clips on the backside to place the scoring sheet.Each Board has 4 pockets for 13 cards each. 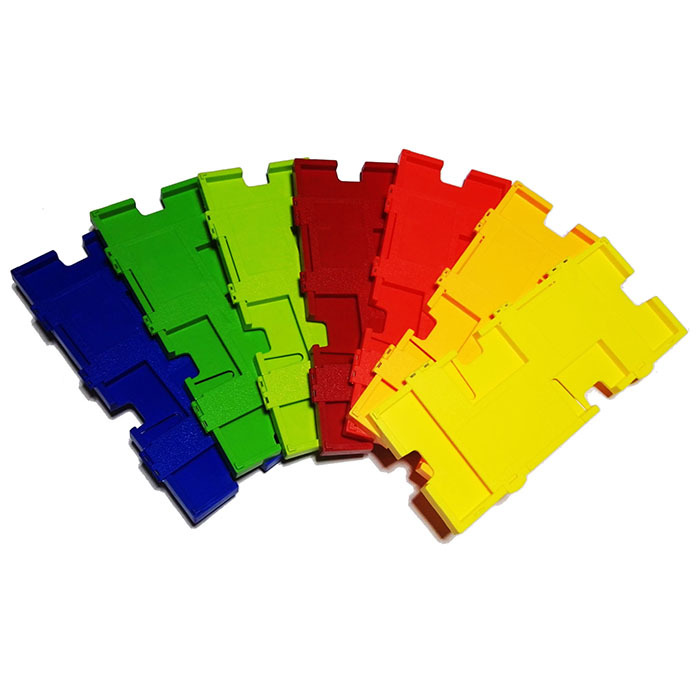 Available colors: Red,Yellow,Golden Yellow,Blue,Green,Lime Green,Orange. OEM:We can customize and emboss on the duplicate boards(bridge boards,duplimate boards) with your unique Bridge Club Name,Club Marking,Club Logo,Sponsor Name, Championship Name or Tournament Name. Trump Suit Bridge Accessories supply Duplicate Boards(Bridge Boards,Duplimate Boards) sets 1-36 made of high quality ABS,durable.This board type is suitable for duplicate machine(computer dealing machine).It matches all the existing duplicate machine models,such as I DEALER 5000,IDEALER 3000,Mark II-III,Mark IV, Mark 4.4,Playbridgedealer4,Dealer 4.It can be used on all of the machines.The price incl postage of regular post service(30-60 days) to almost every country of the world.